Yes, cool deck! 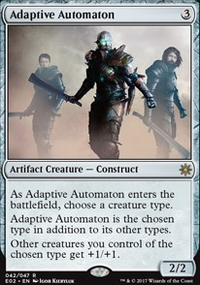 I like the way it works, especially that you've stayed away from an ultra control themed deck. The main thing to change is your average mana costs. Depending on your deck an average cmc could be around 3.0. Many flying creatures are the proper card for this deck, but I would prefer to turn down Bruna, the Fading Light , Gisela, the Broken Blade for your decks strategy. Unesh, Criosphinx Sovereign on the first sight seems right, would be great to insert some more Sphinx creatures. 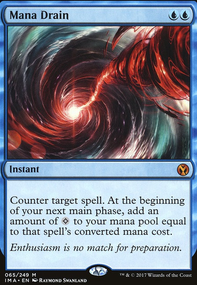 Sphere of Safety is indeed a good card in enchantment decks, but in case of mana costs it may not be worth to consider the payment. 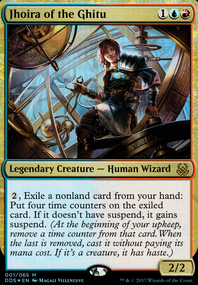 On turn 5 you have really good spells in your deck, and the Sphere of Safety doesn't do anything more than Ghostly Prison or Propaganda . Whirlpool Drake is in my opinion not good for shuffeling your graveyard into your library. My suggestions are Darksteel Plate , for giving your creature indestructible. As I see you are not going into the strategy to pump up your commander with many equipments, but this card could be useful. 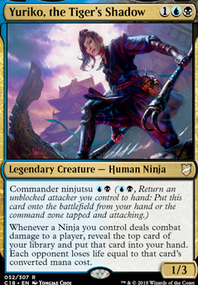 Also a nice card for giving any of your creatures vigilance I recommend Reconnaissance (okay, it doesn't say dirctly vigilance, but with rules understanding you can untap the creature after the damage is done and before end of combat - so the same effect as vigilance. Also it protects your attacking creatures). 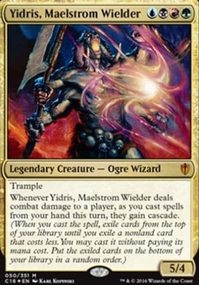 Commander staples for white-blue are of course Cyclonic Rift (budget alternative Devastation Tide ), Supreme Verdict or Gwafa Hazid, Profiteer . Strionic Resonator for getting more trigger effects! The more strategies you follow the more complicated and destructive is your game plan. I'm really looking forward for this deck - again: many ideas are already awesome! Maybe some wrath effects: Languish , Bontu's Last Reckoning , Devastation Tide , Terminus etc. Dimir Infiltrator - Tutor and unblockable. Dowsing Dagger Flip - Assuming you'll get in with an unblockable or evasive creature early on, this will be a very good ramp spell. Reality Shift - Good exile effect in blue. Curse of the Swine - Also good exile effect in blue. Imprisoned in the Moon - Incredible psudo removal. Teferi, Mage of Zhalfir - Provides psudo haste for an aggressive build like this. 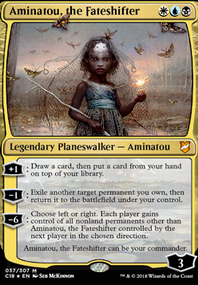 Teferi also doubles as a good control card here. 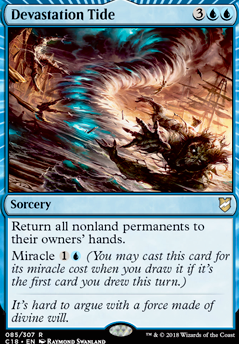 Devastation Tide - Blue/Black have a hard time dealing with enchantments. You will find use for this at some point. You can also add some on-color cycling lands. They become useful after you don't care about drawing any more lands in the late game. 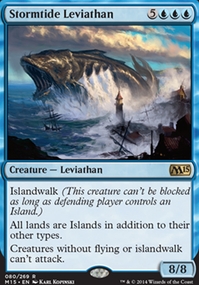 Additionally, other on-color utility lands would be a plus. For example, Bojuka Bog or Halimar Depths would be fine additions.